The Solution for Moist Corn. Qu’est-ce qui caractérise le silo hermétique en acier vitrifié ? Most conventional silos made of concrete, galvanized steel or other materials undergo the onslaught of acids resulting from fermentation. Even those coated with epoxy resin, gunite or similar products receive only temporary protection. The vitrified steel tower silo proposed by Silo J.M. Lambert inc. is acid-proof by a process of permanently adhering a layer of true molten glass on each of its faces. The impermeability thus obtained is easily resistant to fermentation acids and weathering. Even after years of use, this type of vitrified steel tower will never need new interior or exterior cladding. The main characteristic of the glass liner steel system is its capacity to reduce, to a minimum, the contact between the air and the stored feed. Oxygen alters humid feed, causing both visible decomposition and invisible loss of nutritive quality. 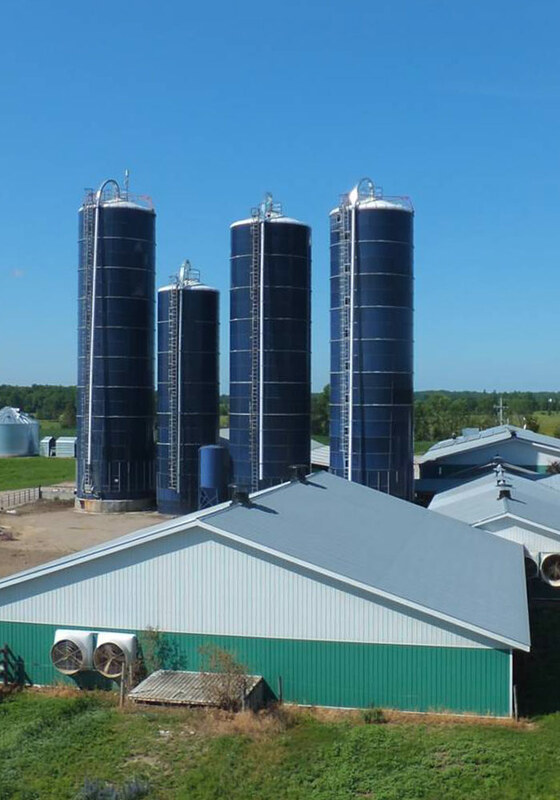 In classic type silos, we correct this by storing products that are higher in humidity, to take advantage of compaction; but this method has its inconveniences. The leaking of juices from the production of less palatable feed, disfavors good a ingestion of dry matter by the animals. In the glass liner steel tour, the pressure sacks limit decomposition by restraining the entrance of oxygen; the feed, stored at an average humidity level, gives food that is more tasty, thus favoring the ingestion of dry matter by the animals. The whole grains are stored, between 22 and 28 percent humidity, which is their normal moisture level at harvest. In addition, storage at an average humidity level eliminates frost problems in winter. 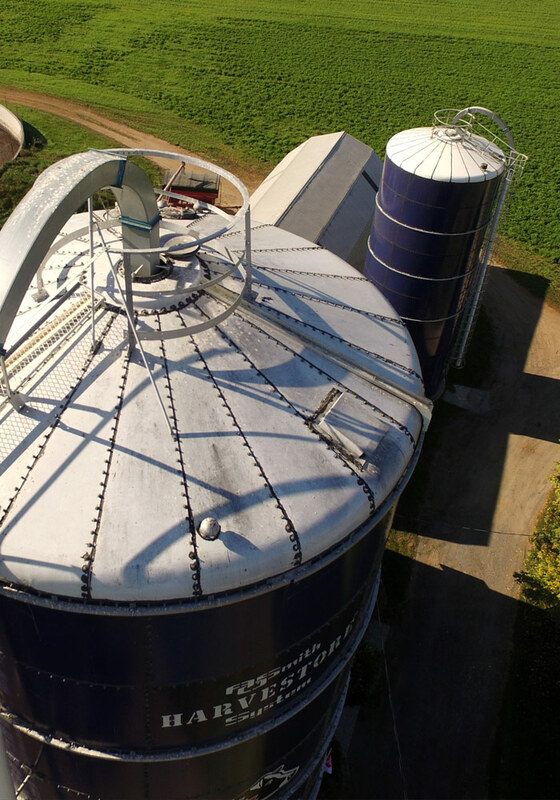 The hermetic system of the vitrified tower silo is designed to fill and empty all year long. Silage is done at the top and unloading at the bottom. 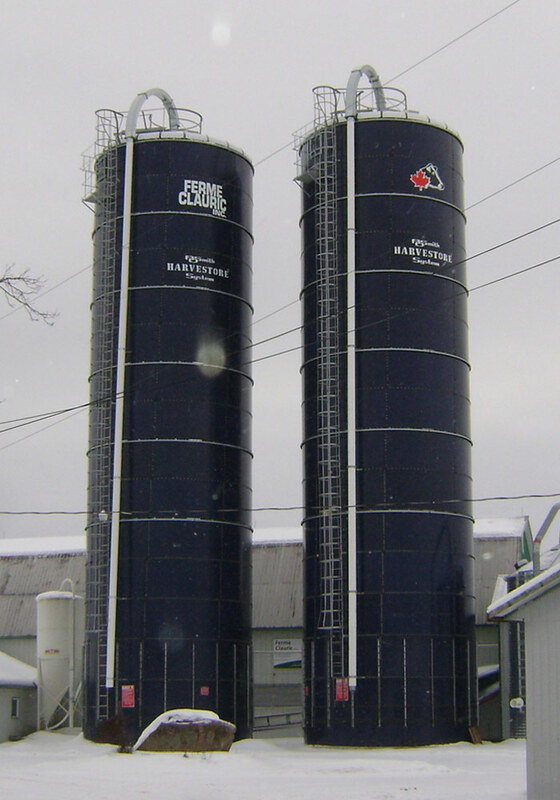 This is an important feature in the case of forage, as it is always the product that has been in the longest tower that is first used. It’s as if you have a continuous conditioning “factory” that distributes an equal amount of tasty fermented foods daily. 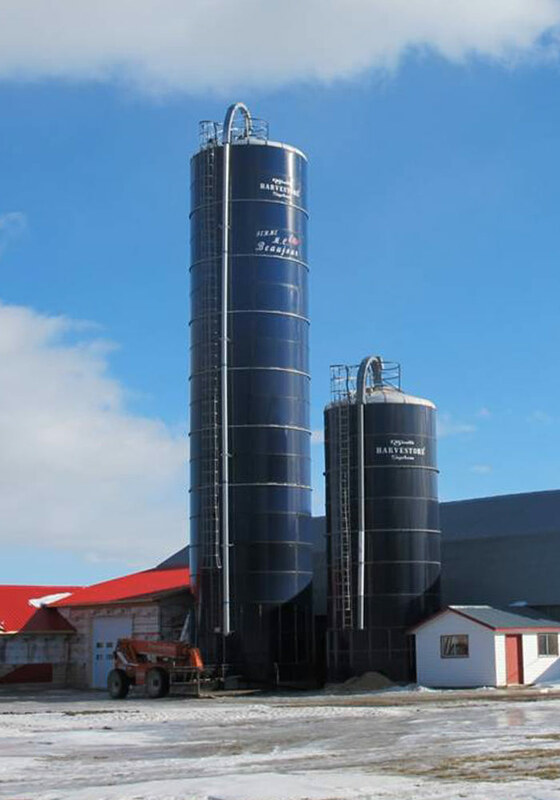 A single glazed steel silo therefore has a higher yield than several different types of storage buildings, in addition to reducing human intervention significantly.